Raise View House Bed & BreakfastSituated at the northern end of Grasmere, yet just 5 minutes walk into the village centre, Raise View House has uninterrupted views of Easedale and the surrounding fells, including the famed Lion and the Lamb. 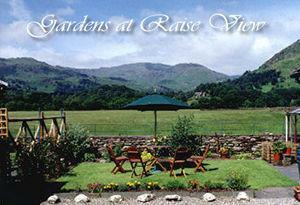 Raise View House limits bookings to 2 or more days. 5.Helm Crag limits bookings to 2 or more days. Our hosts were wonderful. The rooms are very comfortable and clean and look just like the pictures. Breakfast was great. Great location for hikes.